My interest in constitutive historicism meant that I was pleasantly surprised when I discovered that BBC Radio 4 has an entire programme devoted to public history (i.e., how non-historians engage with the past through museums and other heritage sites, Hollywood films, etc). The name of the programme is Making History. Heritage tourism is a big industry in the UK and many of the segments on the show appear to deal with that sort of thing. I was particularly interested in a segment of this week’s Making History show that deals with recent developments the Potteries District in Staffordshire. This part of England will be known to overseas readers mainly because it was the home of Josiah Wedgwood, the entrepreneur who helped to industrialise the production of pottery in that region. 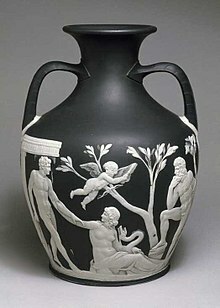 (Wedgwood receives extensive coverage in Creating Modern Capitalism, a business history textbook used in many North American universities). At one point, Staffordshire was a busy hive of pottery production: kilns worked 24/7 the local area’s distinctive clay into goods exported to distant countries. While the potteries industry of Staffordshire is now a shadow of its former self, at least judged by the size of its workforce, some potters are still active there. Indeed, there has been a move to repurpose old pottery factories not as museums of pottery (there is already one) but as living commercial enterprises. Judging from the interviews with potters that were broadcast by Making History, it appears that many of the entrepreneurs who are attempting to build on Staffordshire’s heritage in pottery are inspired by the local area’s history. Indeed, the region’s heritage appears to have influenced the decision of one ceramic artist to relocate to Staffordshire from London. This short report on a radio programme is obviously very different from an academic research paper. It nevertheless reinforced my view that the constitutive historicism approaching towards understanding entrepreneurial behaviour is a promising one. 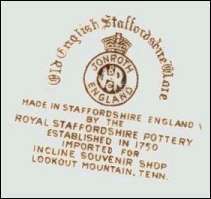 The segment about the Potteries appeared at the end of the show. You can download it as a podcast. There is a small LinkedIn group for academics interested in researching constitutive historicism. Wadhwani, R. D., & Jones, G. (2014). Schumpeter’s Plea: Historical Reasoning in Entrepreneurship Theory and Research. Organizations in time. History, theory, methods, 192-216.